It must be some 10 years ago that we first met Harry O'Sullivan. If we recall correctly, it was in Rotterdam at an audio show's De Doelen concert venue. Harry was there with his former employer Music First Audio. 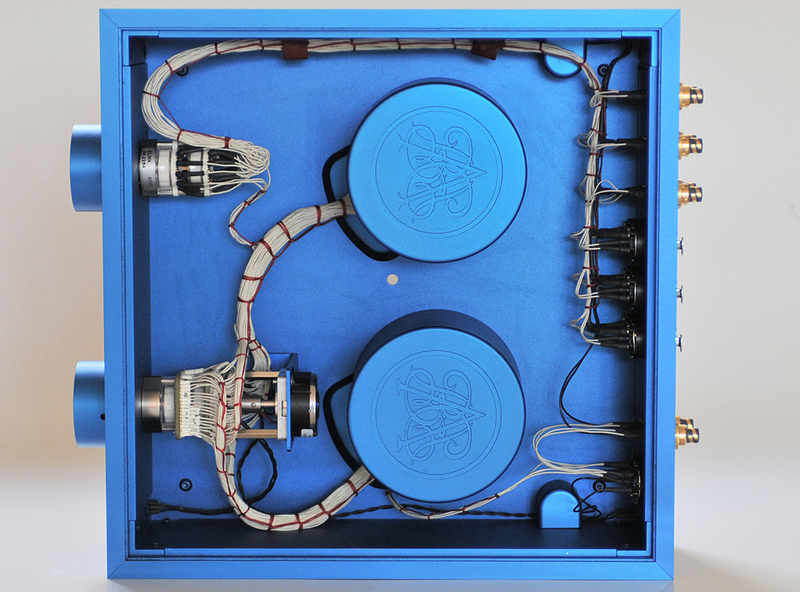 They demonstrated their passive preamplifier built around Stevens & Billington transformers with 80% nickel-alloy cores hidden in mu-metal transformer cowls and equipped with Elma selector switches. Since that time we got hooked on passive preamps and it won't surprise you that we own such an MFA passive spec'd out to our personal requirements. We love high-sensitivity loudspeakers and our 109dB Avantgarde horns and 106dB Arcadian Audio Pnoe horns walk that talk. Their practical downside is that an allowable input voltage might be a teensy-weensy signal before things get really loud. Two to three watts are more than sufficient. This means that even a 300B-based tube amp of some 6wpc must still be attenuated with an external preamp or in case of an integrated like our Audio Meishu, by its internal preamp stage. Either way, in such use one taps none of the preamp's voltage gain. In fact, 90% of all systems never do we believe. They all tend to run their sources below so-called unity gain. That means the following preamp merely attenuates the signal. It doesn't add anything. In the digital age, more and more D/A converters include digital attenuation. 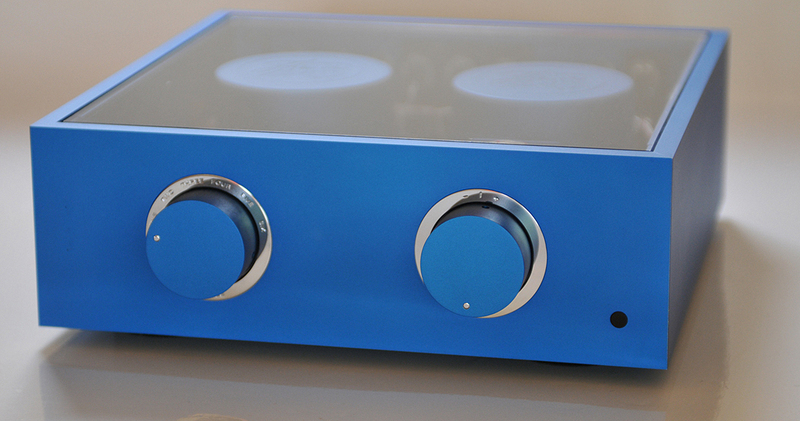 Being on the DAC chip, it's easy, cheap and eliminates a separate preamp or stage. But wherever a lot of digital attenuation is required, there's signal decimation. Too many significant bits of the data stream are lost in attenuation to borrow from a Bill Murray movie. And in our case, there aren't just low-output amplifiers. We also own true muscle amps. The combination of nCore 1200-based monos with one of our horn systems sounds spectacular even though attenuation then means full blast. With the MFA passive on the job, there's no signal loss nor any sonic shift. Traditional active preamps do tend to change the sound. Tubes could add some warmth or mass, transistors could get cooler, sharper, more dynamic or increase contrast, digital attenuators throw away detail at the amount of sigal cut we need. For us, the MFA does it right just. That is, with low-power amps. The nCore class D amps still pose a challenge given the MFA's 24 steps. Even loaded into our 16Ω horns, these amps still output in excess of 100wpc. If one values their hearing as we do, that makes only the first 3-5 selector steps of the MFA usable. That's not a lot of options between too quiet and too loud. But there's more to magnetic passive attenuation than just unvarnished truth: transformers. They don't turn the excess voltage into heat but transform it into current. An incoming 2V or more will be passed on as just a few tens of mV to a high-power amp driving high-efficiency speakers. But such iron transforms not just voltage. The output impedance too gets transformed. For example, if the incoming signal is attenuated by a factor of 10, the output impedance is transformed by the power of two: 100 times in this case. With each further step of signal cut, this magic happens. Now one can place one's amps as close to the speakers as possible. Long interconnects from the preamp are more than welcome even when playing at pianissimo. Back to Harry O'Sullivan. Over the years, we met him at several occasions to follow his work. 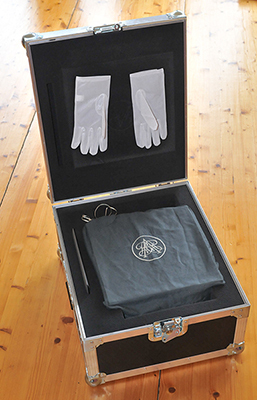 When he and his partner Lucy Gastall launched their own The Bespoke Audio Company 5 years ago, we bombarded them—well, asked nicely several times—with requests to sample one of their new boxes in our environment. Building a Bespoke to their high standards takes a lot of time and demand is very high. Freeing up a reviewer sample when 6moons already had a full review online was hard to justify and accommodate.